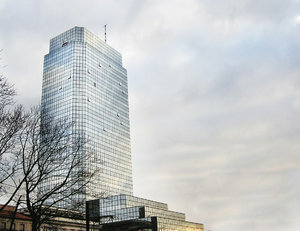 Just a sky-scraper in Warsaw. Nice composition for graphic design use. Lots of sky allows for headlines and texts!